GeoToCAD™ demonstrates options for establishing a bi-directional connection between Autodesk® Revit® and ArcGIS®, a geospatial platform. · Save a model placed on the surface as a 3D PDF file. Hello! It really worked very well! It will help me a lot in college jobs. However, I noticed that it slows down and the topography does not get real size. How to solve this? Hi Rubens, thank you for your interest in GeoToCAD for Autodesk Revit. The issue with scaling of models is reproduced on our side and was reported to our bug tracking system. Please send your contact information to support@amcbridge.com, so we could inform you once new version with fix is available. It was discovered that while importing a model it’s reduced by approximately two times. 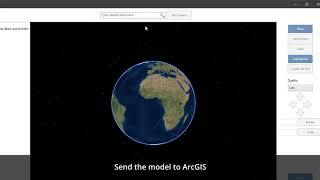 For now you can try to use Scale feature after exporting a model to ArcGIS on the bottom of GeoToCAD Pane. The issue with slowing down might be caused by the size of the geometry to import. Hi Rubens, thank you for your interest in GeoToCAD for Autodesk Revit. The issue with scaling of models is reproduced on our side and was reported to our bug tracking system. Please send your contact information to support@amcbridge.com, so we could inform you once new version with fix is available. It was discovered that while importing a model it&#8217;s reduced by approximately two times. For now you can try to use Scale feature after exporting a model to ArcGIS on the bottom of GeoToCAD Pane.&#13;&#10;The issue with slowing down might be caused by the size of the geometry to import. Thank you to AMC Bridge, please keep this update and free. You are providing a rare service.